In modern-day America, there is a major literacy crisis. Many people are aware of its existence, but most fail to recognize its significance. Fortunately, literacy organizations like Reading is Fundamental, or RIF, have been created to help. Summer learning loss can put students who are already struggling with literacy even further behind. To reverse this trend, RIF developed a reading program titled “Read for Success”. The organization tested the program for two years by challenging 33,000 students from 16 different states to participate. More than half of the study’s participating students were able to avoid summer reading loss. Not only were they able to avoid the loss, but 57 percent of participants also improved their reading proficiency. The reading charity accomplished its goal by making sure that student participants had access to high-quality books. RIF believes that it’s important for students to select and become owners of books. The “Read for Success” program also provides classroom activities for students that focus on science, technology, engineering, the arts and mathematics. For at least 50 years, RIF has been showing the nation’s leaders that when good books reach the hands of children, reading scores rise. Literacy charities support classroom enrichment activities and help teachers. Because of this, RIF has been able to help students improve their test outcomes. The organization’s programs are used in schools and communities while the “Read for Success” program is fast becoming a guide for educational institutions from every corner of the nation. With this program, learning institutions are able to promote systemic change to help kids excel at reading. Along with helping educational institutions through its “Read for Success” program, RIF also offers free information on its website for parents. A checklist makes it easy for parents to see how well their children are performing. This often results in early intervention, which can make a huge difference to a child’s future and how easy or hard it is for them to make their way through school. 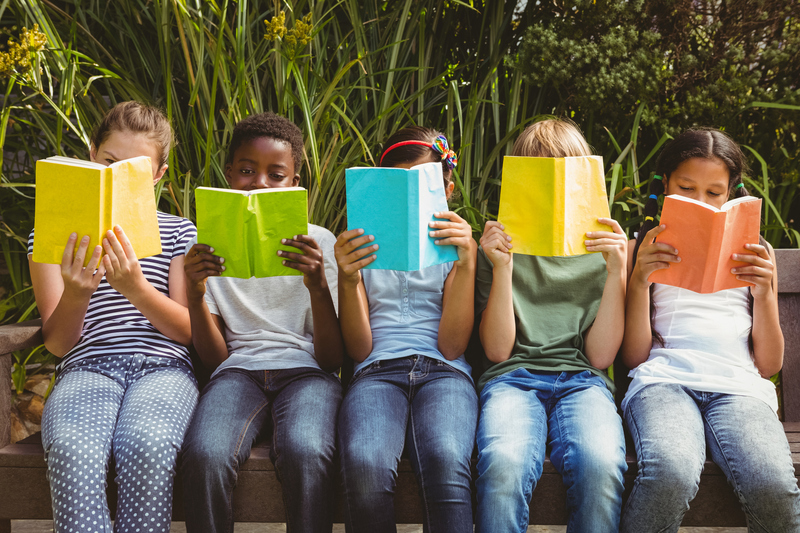 The site also helps parents choose good books for their kids, and it offers advice for establishing a connection between what children learn at home and at school. RIF has found that this step is essential to tracking a student’s progress. It also allows parents and educators to take quick action if problems develop. Because RIF is a noted reading charity, the organization is able to take advantage of support from lifelong literacy advocates. For instance, LeVar Burton, director, actor, author and lifelong literacy activist, is teaming up with RIF to inspire tomorrow’s readers. The Barbara Bush Foundation for Family Literacy is also joining forces with a number of literacy charities including RIF. It is doing so to make the most of the expertise and resources of these organizations to inspire a national discussion on literacy. Alicia Levi, the charity’s President and CEO, said, “RIF is committed to creating collaborative relationships with advocates who share our goal of ensuring all children have access to the fundamental building blocks they need to succeed.” RIF has been helping children maintain and improve their reading levels for 50 years. The organization’s good works are sure to continue helping kids stay in and enjoy school.